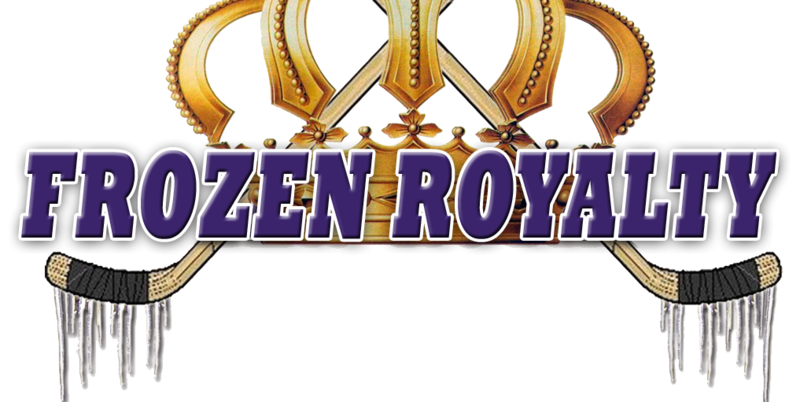 FROZEN ROYALTY EXCLUSIVE: In the third installment of a multi-part series about newly-hired Los Angeles Kings television play-by-play announcer Alex Faust, he talked about his broadcasting style, and the fact that he’s following in the footsteps of legendary Hall of Fame announcer Bob Miller, not to mention the pressure that brings to his new job. LOS ANGELES — After getting so accustomed to and comfortable with the style that legendary play-by-play announcer Bob Miller brought to Los Angeles Kings broadcasts for 44 seasons, fans will have to get used to new play-by-play announcer Alex Faust, who was hired by the Kings on June 1 to succeed Miller, who retired after the end of the 2016-17 regular season. Although no one can replace Miller, the Hall of Fame Voice of the Kings, like it or not, Faust will be the new guy behind the microphone. But what will likely be music to the ears of Kings fans is that Faust’s style shares one key point with that of Miller—he doesn’t use catchphrases or shtick. Now that we know Faust shares one significant thing with Miller, in terms of his broadcasting style, has he watched many of Miller’s telecasts, maybe just to get a few pointers? Faust indicated, however, that he has not had time to watch many more games that Miller and Fox have called over the years. It’s probably a good idea for Faust to limit the number of broadcasts he reviews—he cannot afford to get caught in the trap of trying to imitate or copy from the legend who precedes him. Indeed, he must make the broadcast his own. “At the end of the day, at the risk of trying to imitate that too much, I don’t want to watch too much of it because I do want to put my own stamp and style on it,” he said. Although it seems that most Kings fans will be patient with the rookie NHL play-by-play announcer, in all likelihood, there will be a vocal minority who won’t. As such, comparisons to Miller will be inevitable, even though they would be patently unfair and totally absurd. To be sure, Miller is one of the best hockey play-by-play announcers ever to have called a game, perhaps the best ever. His 44 seasons behind the microphone eclipses, not just Faust’s broadcasting career, but his entire life, reason enough to know that such comparisons would be entirely unfair. Then there is the fact that Faust has only called one National Hockey League game, magnifying the unfairness of any comparisons by several orders of magnitude. In light of the adversity that will likely come his way once the season begins, Faust seems to have the right outlook going into his new job. That confidence is likely one of the reasons the Kings hired him. It should also serve him well, especially in his first few seasons on the air. Although some might interpret that comment as brash or arrogant, Faust put any concerns about that to rest when he stressed that he wants constructive criticism. Like any good broadcaster, Faust does have one fear. As reported in Part 2 of this series, like Miller and Fox, Faust prides himself on preparation. Coming from Connecticut, where Faust currently resides, suddenly being thrust into a drastically larger spotlight will take some getting used to. But even if it takes awhile for him to become recognizable in Southern California, Faust intends to continue to work towards that end in terms of national broadcasting opportunities, and not just in hockey. As reported earlier. Faust won’t spend a lot of time watching old games that Miller and Fox called. But he has already spoken with Miller, who called him right after he was hired. Once Faust moves to the Los Angeles area and jumps into his new job, preparing for his first broadcast with the Kings, getting in synch with Fox, and just calling the games are among the challenges that await him. But if you think those are his biggest challenges, guess again. In the final installment of this series, Faust will share his thoughts about what will be his biggest challenge as the Kings’ new television play-by-play announcer. Stay tuned. LEAD PHOTO: Newly-hired Los Angeles Kings play-by-play announcer Alex Faust (right), shown here during a college basketball broadcast for Fox Sports. Photo courtesy Fox Sports/Los Angeles Kings.